Mark the launch of the Grand Prix festivities in one of the city’s most exclusive spot for high-end food and ambience. Last year was mind blowing and this year we promise it won’t be any different … just bringing it up at notch ! The whole city couldn’t resist the temptation and was longing to get inside our hottest to date Gentlemen’s Club universe last year. 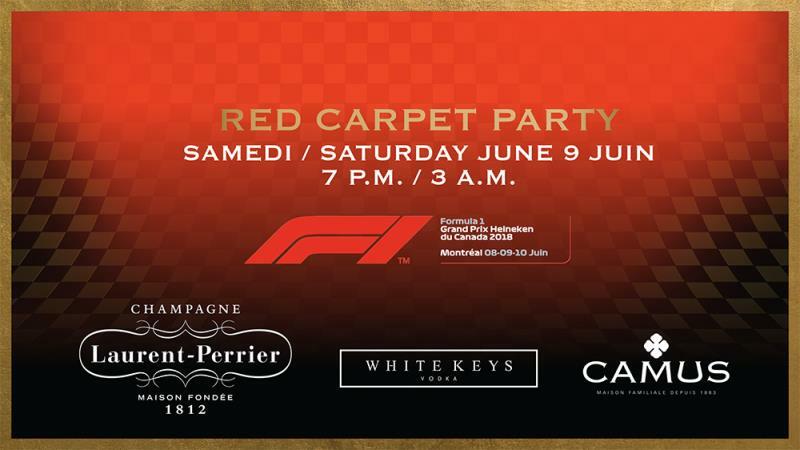 The Richmond & Formula 1 Grand Prix du Canada bring you together the most prestigious Red Carpet Party where celebrities meet and where you will be greeted as stars by photographers and journalists for official pictures. Be ready to witness outstanding entertainment all night long and VIP treatment like no other place. Laurent Perrier Champagne, White Keys Vodka & Camus Cognac will host you and make the night happen! Stand-up dinner & open-bar service all night. Tables and VIP sections available.